There’s a feisty new ladies night in town! From the 10th of February, Amerigos Mexican Bar & Restaurant will pay homage every Sunday to Mexico’s most celebrated artist and heroine, Frida Kahlo. Dedicated to ladies who are looking for something a bit more substantial than liquid dinner, “Frida Nights” offers not only unlimited free-flow of margaritas but also a 50% discount on food. Señoritas can indulge in colorful and mouth-watering delicacies from Frida’s hometown and other regions of Mexico. 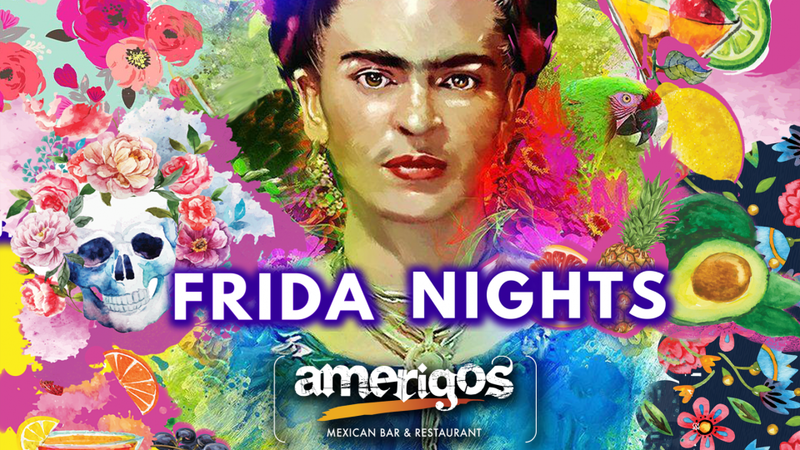 Guests can also expect a vivid and colorful atmosphere as Amerigos will be adorned with decor inspired by Frida’s most famous masterpieces, quotes, and signature looks.